Lady Caroline Wilde is expected to ride side-saddle, but she’s not about to embrace convention. She’s also expected to keep a chaste distance from men like Adrian Crosby, the new estate agent, yet she cannot cease her ogling—which is especially irksome considering their ongoing feud. Adrian insists that the fields must be planted; Caro needs those same fields to train her horses. But whenever she tries to put him in his place, Caro looks into his steely gaze and her words simply … disappear. Lady Caroline Wilde, the Duke of Sherrington’s headstrong daughter is in a pickle. She has lost her 11-year-old step-nephew, Gus while riding in the rain. Going back to look for him, she finds him, thrown from a horse, besides a stream, unconscious with blue lips. Which isn’t good. As she struggles to lift him on her horse, Boudicca, she is helped by a man who happened to be passing by. Adrian Crosby is on his way for an interview at the Sherrington Manor when he notices two children struggling in the mud next to a horse. Going to help them, he is shocked to find out that one of the children is actually a woman dressed in breeches. He was scandalized (remember the era!!) and brings the boy, and the woman, to the manor for help. Once he’s there, he is again shocked to find out that the woman he helped is The Duke of Sherrington’s middle daughter, Caroline. Adrian is offered the job as an estate agent and his first order of business is to cultivate some fallow fields. Unfortunately, Caroline has plans for those fields. What she was going to do is host a hunt in those fields and try to get into another, more desirable hunt. So to say that she was not very happy with his plans are an understatement. As this is happening, there are strange happening around the household. Caroline’s horse keeps getting let out and the stable hands are at a loss as to how it is happening. Gus is slowly recovering from his head wound and keeps giving the maid who is supposed to be watching him the slip. Holes are showing up all over Sherrington lands and that causes the horse Caroline is riding to stumble and throw her…..spraining her ankle. Caroline is also fending off a dastardly man by the name of Marcus Pendleton. He is trying to get her horse, Boudicca, and has been going through extreme measures to try to get her. That includes having his stallion nearby to breed with Boudicca when she comes into season (and it does happen). Adrian, however, is dealing with his own issues as the estate agent. He steps in and helps a maid by the name of Sadie who is being abused by her stepfather. He offers her a position as a nursemaid in the Sherrington house. But Sadie has other plans. Plans that could not bode well for Adrian or Caroline. While all of this drama is happening, Caroline and Adrian are growing closer and closer. Adrian has a few secrets that he would rather that Caroline not find out and Caroline, well she is determined to find out. Will Caroline find out Adrian’s secrets? Will Pendleton get his slimy hands on Boudicca? Will Gus learn to listen to his elders? Will they find out who has dug the holes? Will Caroline and Adrian be together despite their difference in stations? Guess you need to read the book to find out. Caroline really annoyed me in this book. She wouldn’t listen and argued with Adrian over everything. Heck, a prime example would be when Boudicca was in season and being difficult to handle. He advised her not to take her out and what does she do….takes her out to spite him. Seriously, I wanted to throttle her. She also was very impulsive and couldn’t care less about her reputation. I mean, heck, she was going glass for glass with Pendleton because she wanted to show she could be just as good as a man. All because she wanted to ride in a hunt and show her horsemanship off. Again, I wanted to throttle her. I did feel bad for Adrian. Not only is he dealing with the spoiled, impulsive middle daughter of his employer but he has to deal with tenants who have their own agendas. I seriously felt that he needed a medal for everything that he dealt with there. He also needed one for the stuff he dealt with at his previous employer. When it came out why his ex-employer’s wife acted the way she did, I was a little shocked. Actually, a lot shocked. I didn’t see it coming in the book (kudos to the author to keeping that secret well hidden with only a few hints). The romance between Caroline and Adrian didn’t feel right to me. It felt forced in a way. Almost like Caroline was thumbing her nose at her station. The attraction was there but I honestly can’t pinpoint where they fell in love with each other and that kinda bothers me. Usually, I can pick it out and I couldn’t. The end of the book was pretty standard…with a HEA and everything. 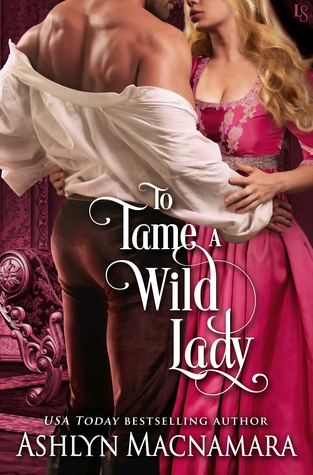 Why: I give the author major props for trying to make a Regency-era woman a feminist outlook. I really do. Too bad I couldn’t get past Caroline’s chip on her shoulder. I also felt that the romance between her and Adrian was forced. There is a pretty good plotline, though, and the secondary characters really came alive in this book. Will I recommend to family and friends: Maybe.